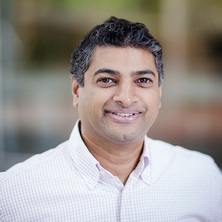 Professor Michael Monteiro has established an international reputation in the field of 'living' radical polymerization to create complex polymer architectures. He is now building designer polymers for various biomedical applications, including vaccines, drug delivery and stem cells. He is dedicated to translating research into commercial outcomes, with 7 PCT and provisional patents since 2005 and start-up company DendriMed Pty Ltd. He was awarded an ARC QEII Fellowship in 2004 and an ARC Future Fellowship in 2009. He has attracted ARC and NHMRC grants; and Queensland State Government funding in excess of $7 million. Professor Monteiro has built a strong collaboration with Professor Virgil Percec from the University of Pennsylvania to develop and understand the new SET-LRP. He has developed a collaboration with Professor Rachel O'Reilly from the University of Warwick to develop nanoreactors that mimic enzyme activity. In collaboration with Professor Eugenia Kumacheva from the University of Toronto, they developed temperature responsive micron-sized particles from encapsulation of cells. Designer polymers: Synthesis of complex polymer architectures. Professor Monteiro's research aims to develop methods of synthesising complex polymer architectures in water, with controlled particle size, molecular weight and morphology. By understanding the structure-property relations of these novel nanomaterials, targeted properties can be manufactured for vaccine and drug delivery. Easily recycled polymers that could be used in a variety of products have been synthesised. Chemistry And Technology Of Emulsion Polymerisation. Edited by M. J. Monteiro and B. Charleux Oxford, United Kingdom: Blackwell Publishing Ltd: Ed, 2005. Johnston-Hall, Geoffrey and Monteiro, Michael (2006). Tailoring molecular weight distribution and structure with difunctional reversible addition fragmentation chain transfer agent: A model study. In Krzysztof Matyjaszewski (Ed. ), Controlled/ living radical polymerization:from synthesis to materials (pp. 421-437) Washington DC, U.S.: American Chemical Society. RAFT-mediated polymerization - A story of incompatible data? A difference of six orders of magnitude: A reply to "the magnitude of the fragmentation rate coefficient"
Subramaniam, N., Lee, D.-Y., Monteiro, M. J., Fellows, C. M. and Gilbert, R. G. (2001) New Generation Modified Natural Rubbers. Plastics Solutions International, 50-2. Monteiro, Michael J. (2001) Radical moves. Polymers Paint Colour Journal, 191 4443: 20-22. Coote, ML, Davis, TP, Klumperman, B and Monteiro, MJ (1998) A mechanistic perspective on solvent effects in free-radical copolymerization. Journal of Macromolecular Science-Reviews in Macromolecular Chemistry and Physics, C38 4: 567-593. Busfield, WK, Jenkins, ID and Monteiro, MJ (1997) Initiation mechanisms in copolymerization: Reaction of t-butoxyl radicals with co-monomers ethyl vinyl ether and methyl methacrylate. Journal of Polymer Science Part A-Polymer Chemistry, 35 2: 263-270. Floudas, George, Pipertzis, Achilleas and Monteiro, Michael (2018). Influence of chain topology on polymer crystallization and glass temperature: Rings vs. linear chains. In: 255th National Meeting and Exposition of the American-Chemical-Society (ACS) - Nexus of Food, Energy, and Water, New Orleans La, (). Mar 18-22, 2018. Monteiro, Michael (2018). Solution and bulk properties of densely packed multicyclic polymers. In: 255th National Meeting and Exposition of the American-Chemical-Society (ACS) - Nexus of Food, Energy, and Water, New Orleans La, (). Mar 18-22, 2018. Monteiro, Michael (2018). Thermoresponsive worms for expansion and release of human embryonic stem cells. In: 255th National Meeting and Exposition of the American-Chemical-Society (ACS) - Nexus of Food, Energy, and Water, New Orleans La, (). Mar 18-22, 2018. Monteiro, Michael, Amir, Faheem and Jia, Zhongfan (2017). Sequence control of macromers via iterative sequential and exponential growth. In: 254th National Meeting and Exposition of the American-Chemical-Society (ACS) on Chemistry's Impact on the Global Economy, Washington Dc, (). Aug 20-24, 2017. Harkness, Linda, Chen, Xiaoli, Davies, Anthony M., Jia, Zhongfan, Monteiro, Michael J., Pera, Martin and Gray, Peter P. (2016). 3D neuronal differentiation: using a thermo-responsive polymer for expansion and release of differentiated hESC. In: EMBO/EMBL Symposium: Organoids: Modelling organ development and disease in 3D culture, Heidelberg, Germany, (). 12-15 October 2016. Harkness, Linda, Chen, Xiaoli, Davies, Anthony M., Jia, Zhongfan, Monteiro, Michael J., Pera, Martin and Gray, Peter P. (2016). 3D neuronal differentiation: using a thermo-responsive polymer for expansion and release of differentiated hESC. In: Conference on Changing the Face of Modern Medicine - Stem Cells and Gene Therapy, Florence, Italy, (A77-A78). 18-21 October 2016. Monteiro, Michael J. and Jia, Zhongfan (2014). Multifunctional nanoworms and nanorods and functional membranes. In: Abstracts of Papers of the American Chemical Society. 248th National Meeting of the American Chemical Society (ACS), San Francisco CA, United States, (). 10-14 August 2014. Monteiro, Michael J. (2013). Tutorial on the kinetic percepts for cyclization of alpha,omega-telechelic polymers. In: Abstracts of Papers of the American Chemical Society. 245th National Spring Meeting of the American Chemical Society (ACS), New Orleans La, (). 07-11 April 2013. Monteiro, Michael J. (2013). Various topologies built from tailored cyclic polystyrene via CuAAC/NRC reactions. In: Abstracts of Papers of the American Chemical Society. 245th National Spring Meeting of the American Chemical Society (ACS), New Orleans La, (). 07-11 April 2013. Monteiro, Michael J . (2011). RAFT-mediated microemulsion-like polymerization of styrene. In: Abstracts of Papers of the 242nd National Meeting of the American Chemical Society. National Meeting of the American Chemical Society (242nd, ACS, 2011), Denver, CO, U.S.A., (). 28 August-1 September 2011. Monteiro, Michael J. (2010). Rapid, selective and reversible nitroxide radical coupling (NRC) reactions at ambient temperature. In: Abstracts of Papers of the American Chemical Society. 239th ACS National Meeting & Exposition, San Francisco, United States, (). 21-25 March 2010. Johnston-Hall, Geoffrey and Monteiro, Michael J. (2008). Bimolecular termination in semi-dilute polymer solutions. In: Polymer Preprints:. ACS National Meeting, New Orleans, LA, U.S.A., (34-35). 6-10 April, 2008. Whittaker, Michael R. and Monteiro, Michael J. (2008). Convergent synthesis of 3rd generation dendrimer from 2nd generation polymeric dendron with 4-arm polymers. In: Proceedings of the 235th ACS National Meeting. 235th ACS National Meeting, New Orleans, LA, U.S.A., (161-162). 6-10 April, 2008. Whittaker, Michael R. and Monteiro, Michael J. (2008). Living radical polymerisation of tert-butyl acrylate using Cu(0) powder and nanopowder. In: Polymer Preprints. 2008 Spring National American Chemical Society Meeting, New Orleans, U. S., (515-516). 6-10 April, 2008. Arnold, D. P., Hanson, G. R., Kulis, J., McDougall, N. A., Micallef, A. S., Monteiro, M. J and Whittaker, M. R. (2008). Nitroxide-annulated phthalocyanines: Towards new profluorescent probes, photosensitisers and photoactive polymers. In: SPIN 2008, 5th International Conference on Nitroxide Radicals, Ancona, Italy, ((L6)). 7-11 September, 2008. Whittaker, M. R. and Monteiro, M. J. (2008). POLY 185-Living radical polymerization of tert-butyl acrylate using Cu(0) powder and nanopowder. In: Abstracts of Papers - American Chemical Society. 235th American-Chemical-Society National Meeting, New Orleans LA, (). APR 06-10, 2008. Monteiro, MJ (2008). POLY 619-Convergent synthesis of third generation dendrimers. In: ABSTRACTS OF PAPERS OF THE AMERICAN CHEMICAL SOCIETY. 235th American-Chemical-Society National Meeting, New Orleans LA, (). APR 06-10, 2008. Suzuki, Shuko, Rintoul, Llew, Monteiro, Michael J., Wentrup-Byrne, Edeline and Grondahl, Lisbeth (2007). In vitro mineralization of phosphate containing polymer ad-layers. In: Abstracts of Papers of the American Chemical Society. 233rd ACS National Meeting, Chicago, United States, (). 25-29 March 2012. Suzuki, S., Rintoul, L., Monteiro, M. J., Wentrup-Byrne, E. and Grondahl, L. (2007). In vitro mineralization of phosphate-containing polymer ad-layers. In: Proceedings of the Polymer Chemistry Division of the ACS. Division of Polymer Chemistry, Chicago, (430-431). June 2007. Johnston-Hall, Geoffrey and Monteiro, Michael J. (2006). Tailoring molecular weight distribution and structure with difunctional reversible addition fragmentation chain transfer agent. A model study. In: , , (421-437). .
Liang, M, Monteiro, M J and Toth, I (2006). Chemoselective peptide attachment to well-defined star polymer for peptide delivery. In: Annual Conference of the Australasian Pharmaceutical Science Assn. Annual Conference of the Australasian Pharmaceutical Science n, Adelaide, (Poster). 3-5 Dec, 2006. Grondahl, L., Monteiro, M. J., Suzuki, S., Wentrup, C. and Whittaker, M. R. (2006). Synthesis and characterisation of phophate polymers for biomedical applications. In: 28th Australasian Polymer Symposium & Aust Society for Biomaterials. 28th Australasian Polymer Symposium & Aust Society for Biomat, Rotorua, (Abstract). 5-9 Feb, 2006. Bell, C. A., Gahan, L R and Monteiro, M J (2006). Synthesis of nanocomposite polymers in aqueous environments with controlled architecture. In: 28th Asian Polymer Symposium & Asian Society for Biomaterials. 28th Asian Polymer Symposium & Asian Society for Biomaterials, Rotorua, (Abstract). 5 - 9 Feb, 2006. Monteiro, Michael J., Adamy, Monique M., Leeuwen, Bastiaan J. and van Herk, Alex M. (2005). Mathias Destarac; A-living- radical Ab initio emulsion polymerization of styrene using a fluorinated xanthate agent. In: Polymer Preprints:. 230th ACS National Meeting, Washington, DC., U.S.A., (353-354). 28 August - 1 September, 2005. Monteiro, MJ, Adamy, MM, Leeuwen, BJ, van Herk, AM and Destarac, M (2005). Preparation of polymer nanocomposite materials by Living Radical Polymerization using the RAFT process. In: Abstracts of Papers of the American Chemical Society. 230th National Meeting of the American-Chemical-Society, Washington Dc, (U4287-U4288). Aug 28-Sep 01, 2005. Preparation of polymer nanocomposite materials by 'living' radical polymerization using the raft process. Monteiro, MJ and Smulders, W (2004). Preparation of polymer nanocomposite materials by 'living' radical polymerization using the raft process.. In: Abstracts of Papers of the American Chemical Society. 228th National Meeting of the American-Chemical-Society, Philadelphia Pa, (U426-U426). Aug 22-26, 2004. Monteiro, Michael J. and Smulders, Wilfred (2004). Preparation of polymer nanocomposite materials by-living radical polymerization using the RAFT process. In: PMSE : Polymeric Materials Science and Engineering. 227th ACS National Meeting, Anaheim, CA. U.S.A., (137-138). 28 March - 1 April, 2004. Suzuki, S., Whittaker, A. K., Monteiro, M. J., Grondahl, L. and Wentrup-Byrne, E. (2004). RAFT synthesis of phosphate polymers for biomedical applications. In: 27th Australasian Polymer Symposium. 27th Australasian Polymer Symposium, Adelaide, (Poster). Nov, 2004. Raft in emulsion polymerization: What makes it different. Gilbert, RG, Prescott, SW, Smulders, W, Monteiro, MJ, Ballard, MJ and Rizzardo, E (2002). Raft in emulsion polymerization: What makes it different.. In: ABSTRACTS OF PAPERS OF THE AMERICAN CHEMICAL SOCIETY. , , (U476-U476). .
Gilbert, Robert G., Prescott, Stuart W., Smulders, Wilfred, Monteiro, Michael J., Ballard, Mathew J. and Rizzardo, Ezio (2002). RAFT in emulsion polymerization: What makes it different. In: 224th ACS National Meeting. 224th ACS National Meeting, ,, (130-131). August 18, 2002-August 22, 2002. Ballard, M. J., Gilbert, R. G., Monteiro, M. J., Prescott, S. W., Rizzardo, E. and Smulders, W. (2002). Raft in emulsion polymerization: What makes it different. In: Abstracts of Papers of the American Chemical Society. 224th National Meeting of the American Chemical Society, Boston, MA, United States, (U476-U476). 18-22 August 2002. Gilbert, R.G., Anstey, J.F., Subramaniam, N. and Monteiro, M.J. (1999). Emulsion polymerization as a novel tool in controlled free-radical polymerization. In: Abstracts of Papers of the American Chemical Society. National Meeting of the American Chemical Society, United States, (U401-U401). 1999. Gilbert, R.G., Subramaniam, N., Monteiro, M.J., Taylor, J.R. and Simpson-Gomes, A. (1999). Novel graft copolymers from natural rubber latex. In: Abstracts of Papers of the American Chemical Society. National Meeting of the American Chemical Society, United States, (U659-U659). 1999. Bobrin, Valentin A. and Monteiro, Michael J. (2015): The synthesis of chemically multifunctional polymer tadpoles made at high weight fractions of polymer (>10 wt %). American Chemical Society. Dataset.